Aapne bhale hi apni site me pahle se SSL certificate install kar rakha ho lekin aapka SSL ke bare me janna jaruri hai. Aapne dekha hoga ki SSL certificate different prices aur free me aate hai. Free and paid SSL certificates available hai lekin dono me kai saare antar hote hai. Yaha hum free vs paid ssl certificate pros and cons, different or Free SSL vs Paid SSL Certificates Me Se Konsa Best Hai? ke bare me janenge. Internet ki security ab increase ho rahi hai aur ab to google chrome browser http site ke liye “not secure” message show karne laga hai. Matlab ab website or blog par https enable (SSL Certificate use) karna lagbhag jaruri ho gaya hai. Ek SSL certificate ek important and powerful tool hai jo aapki site ko https security enable karne ke sath-sath aapki site ke visitors ko wishwas dilata hai ki aapki site par wo secure hai. Aap Let’s encrypt, cloudflare flexible ssl jaise free ssl se bhi apni site par https enable kar sakte ho lekin usse pahle aapko jan lena chahiye ki free or paid ssl certificate me kya fark hai aur aapke liye konsa behtar hai? Free SSL Vs Paid SSL Certificates – Aapke Liye Konsa Best Hai? 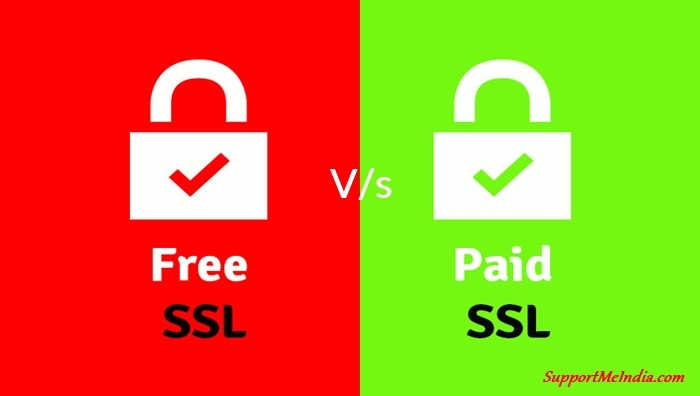 Free SSL Vs Paid SSL Me Kya Difference Hai? Free Vs Paid SSL Certificates – Dono Me Konsa Best Hai? Free SSL vs Paid SSL Certificates – Kya Best Hai? Blogs, websites or other business sites ko protect karne ke liye lagatar https enable kiya ja raha hai. Ab SSL industry dynamic and continuously growth kar raha hai. Aap apni favorite site or blog ko dekh sakte hai. Jo pahle SSL certificate istemal nahi karte the un par bhi ab HTTPS enable milega. Ek normal website se le kar banks, govt. 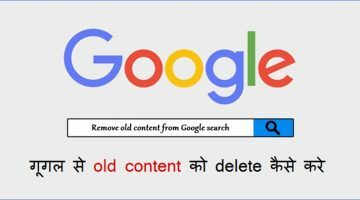 sites tak lagbhag har site par https:// enable milega. Iski wajah se chrome browser ko http site ke liye “not secure” warning display karna aur google ka HTTPS ko search ranking factor banana. Lekin yaha sawal free aur paid ssl ka hai to hum usi par bat karte hai. 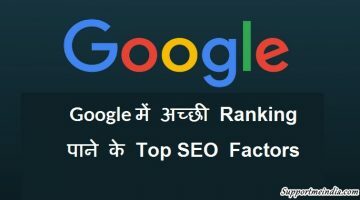 Website par SSL certificate https enable karne se aapki site ki security boost hone ke bad SEO advantage bhi hai, isse aapki site ki search rank increase hogi. Free SSL certificates ko main 2 categories me bant sakte hai. Self-signed certificate: Jisme kisi bhi certificate authority aur sign ki jarurat nahi hoti or jo khud user dwara signed hote hai. Certificate Authorities (CA): Market me available free ssl certificates jo certificate authorities (CA) dwara signed kiya jata hai. Jaha tak encryption ka sawal hai to ek free ssl certificate site ko paid ssl certificate ki tarah hi encryption karta hai bas free ssl ki kuch limits hoti hai. For example, mostly free ssl all browser support nahi karte. Yaha bahut saare SSL provider hai jo free ssl provide karte hai, hum is bare me already detail se article likh chuke hai. Free SSL certificate ki sabse badi kami ye hai ki ye long time duration ke liye nahi hote aur sirf 1-3 month (90 days) ke liye hote hai aur all browsers support nahi karte. Paid SSL certificate ko buy karne ke liye aapko pay karna hoga maltab iska price dena hoga. Paid SSL certificate ko trustworthy certificate authority (CA) ke dwara issued and signed kiya jata hai. Aap ya to ise certificate authority website se buy kar sakte hai ya fir third party ssl seller site se purchase kar sakte hai. SSL industry me godaddy jaise bahut saare provider hai jo paid SSL provide karte hai. Jaha tak encryption ka sawal hai to paid ssl certificate bhi site ko free ssl certificate ki tarah hi encryption deta hai lekin iske kuch extra benefits hote hai jo free ssl ke sath nahi milte. Paid SSL certificate ki sabse badi kami yahi hai ki iske prices bahut high hote hai, aap jitna better, secure, warranty, long time validation ssl certificate choose karoge aapko utna hi jyada pay karna hoga. 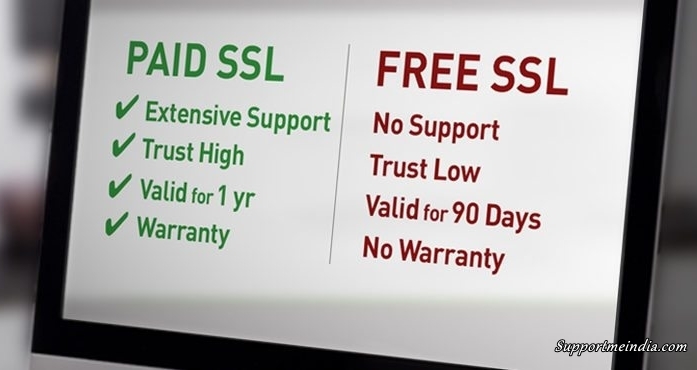 Free vs paid ssl certificates me main difference certificate trust level aur features ka hota hai. Jaha free ssl me low turst level aur limited feature milte hai wohi paid ssl me high turst level or adhik features milte hai. Upar di gayi jankari se aap clearly samajh gaye honge ki free vs paid ssl certificate me kya antar hota hai. Chalo fir bhi main aapko yaha explain karke bta deta hu. Type of SSL Certificate: Free ssl me sirf domain validation (DV) certificate milta hai jabki paid ssl me aapko aal type ssl certificate mil jayega. Level of Validation: Free SSL sirf content sharing site ke liye best hai. E-commerce, banks, online tranzation site ke liye paid ssl lena better hai. Validity Period: Free SSL certificate 30 to 90 days ke liywe provide kiya jata hai jabki paid ssl ko aap 1 year, 2 year ya lifetime ke liye buy kar sakte ho. Support: Free SSL me aapko 0 support milega jabki paid ssl me aapko SSL setup me help bhi milegi aur support bhi mielga. Level of Trust: Jaisa ki main pahle hi bta chuka hu ki free ssl me domain validation security milti hai, aapko CV, OV etc. security ke liye paid ssl hi buy karna hoga. Paid ssl free ssl se kahi jyada trustworthy hote hai. Warranty: Free SSL ki koi guaranty ya warranty nahi hoti hai, paid ssl ke sath koi problem hone par aapko refund ya warranty price diya jata hai. At last, free vs paid ssl certificate me paid ssl hi winner hai aur ek better security aur big site ke liye aapko paid ssl ka hi istemal karna chahiye. 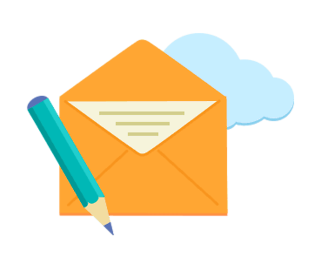 Small business or blogger content sharing blog ke liye free ssl istemal kar sakte ho. Free ssl vs paid ssl certificate me humesha paid ssl certificate hi winner hoga. Free ssl properly work nahi karta hai aur iske downgrade jyada hai. Kai bar site open nahi hoti hai to kai bar ssl issue error aata hai. Main Let’s encrypt aur cloudflare flexible free ssl istemal karke dekh chuka hu dono hi all browser support nahi karte aur site ko kai bat down kar dete hai. Is wajah se site ki search ranking bhi down ho jati hai. Mostyl, free ssl certificate only SNI support browser hi support karte hai aur old android browser ko support nahi karte hai. Matlab aapki site old android phones me open nahi hogi. Aese me agar aapki site par local mobile traffic jyada hai to aapko kafi traffic ka loss ho sakta hai. Main ye problem face kar chuka hu aur finally maine godaddy ssl certificate buy kar blog par install kiya aur ab mujhe koi problem nahi huyi. Main aap sabhi ko bhi paid ssl certificate istemal karna suggest karunga, baki aapki budget problem hai to aap free ssl ke sath hi blog run kar sakte hai lekin future me ssl upgrade kar le. Is article ko read karne ke bad aapko clear ho gaya hoga ki free vs paid ssl certificates me se aapke liye konsa best hai aur aapko site par konsa ssl certificate istemal karna chahiye. Free ssl certificate kai logo ke liye shandar ho sakta hai lekin agar aap ssl certificate review karoge aur apni site ki performance aur ssl downtime check karoge to aapko pata chalega ki free ssl proper work nahi karte hai. At last, main free ssl ki bajaye paid ssl certificate istemal karna behtar samajhta hu lekin samne wale ke pas budget bhi hona chahiye. Agar aapko ye article achha lage to ise social media par apne dosto ke sath share jarur kare. Jab hum site ko http to https karte hai to bilkul domain change karne jaisa hota hai aur google adsense content ko publish karne ke kuch time tak ad show nahi karta hai, isiliye aapko ye problem face ho rahi hai. Aap ye steps follow kare. 1. Google analytics me site url me https add kare. 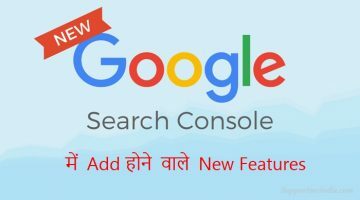 2. search console me site ke 4 version http, http with www, https or https with www submit karo. 3. After all, adsense account me new ad unit create kar blog me add karo. all ad unit fir se create kar add karne hai. Ab 30 minute+ wait karo sabhi ads proper work karenge. Koi problem nahi hogi. sir free ssl blog ke speed kam karta hai kya or cloudflare cdn se bhi blog ki loading speed kam hoti hai kya. Kamaal ki jaankari share kiye ho bro. you are right, I face this problem my wesbite is not secure in some browser. please give some tips to how to but paid SSL for free. please sir I have not enough money to buy SSL. Free SSL me sabse best Let’s encrypt hai lekin all browser support nahi karta. Aap godaddy se ssl le lo first year ke liye 500+ me mil jayega. Best information aapne ssl ke upar share kiya. Aapki yah article se hame yah baat samajh me aa gaya ki hame konsa ssl use karna chahiye. Saath hi free aur paid me frk ka bhi pata chal gaya. knowledgeful post jdk sir.. etna unique post idea kaise aata hai? Wah bahut hi kamal ki jankari.